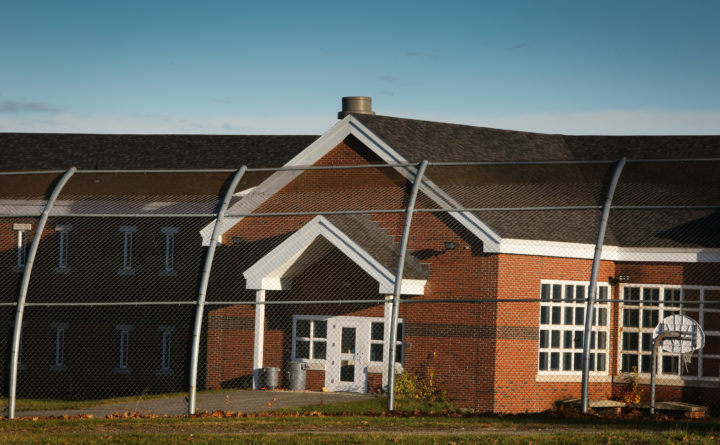 Long Creek Youth Detention Center in South Portland. A new lawsuit alleges that in the 1990s center staff practiced excessive use of restraints and isolation as inmate punishment. Long Creek was then known as the Maine Youth Center. Keene’s lawsuit alleges that center staff practiced excessive use of restraints and isolation as inmate punishment. Isolation could last for days or weeks on end, he said. The lawsuit alleges that those practices caused severe mental stress that affect Keene’s mental health to this day. “[The] plaintiff was subjected to excessive use of isolation in a manner which repeatedly violated the statutory standards for its use, was negligent, was imposed for purposes of punishment, was imposed with deliberate indifference to its impact on plaintiff’s health, was employed in a manner which represented a substantial departure from accepted professional judgment, and violated plaintiff’s Constitutional rights,” the suit states. The suit also claims that the facility didn’t provide inmates with proper access to mental health treatment or educational opportunities. In addition to the Maine Department of Corrections, the lawsuit names as defendants nearly 30 former corrections officials and Maine Youth Center staff, many of whom are only listed by their last names. A message sent to DOC Commissioner Joseph Fitzpatrick wasn’t immediately returned Sunday. It’s unclear why Keene waited until 2017 to file the lawsuit, but the facility has come under increased scrutiny during the past year. In November 2016, Charles Maisie Knowles, a 16-year-old transgender detainee, hanged himself at the detention center and died in a hospital several days later. Earlier this year, three 18-year-old inmates escaped from a Long Creek camping trip and stole an SUV before being arrested, according to police. Long Creek’s superintendent resigned in March citing “personal reasons” shortly after being placed on leave. Corrections officials have publicly acknowledged that they aren’t equipped to handle the large number of mentally ill teens in the facility. In 2004, the state reached a $600,000 settlement with another former Maine Youth Center inmate whose charges of excessive restraint and isolation led to a management shake-up in the state’s juvenile corrections system. That inmate, who was only identified as Michael T., also stayed at the facility in the 1990s.